This is it! The cover for the fourth and final book of the Bird Face series, 3 Things to Forget. In October, readers will finally know what happens to Wendy and her friends, both old and new. Whom will she forgive? To whom will she say goodbye? Most importantly … whom will she forget? So, watch for 3 Things to Forget, releasing October 16th. Together, let’s say goodbye to Wendy and send her off to live the life her experiences have set the foundation for. In a southern farming community in 1925, thirteen-year-old Salvatore and his Italian immigrant father become involved against their will in a crime that results in the murder of an innocent man and family friend. Will Sal keep the secrets about that night as his father asks, or risk everything he and his family cherish in their new homeland, including their lives? Amidst bigotry, bootlegging, police corruption, and gangland threats, Sal must discover whom he can trust in order to protect himself and his family and win back his father’s freedom. 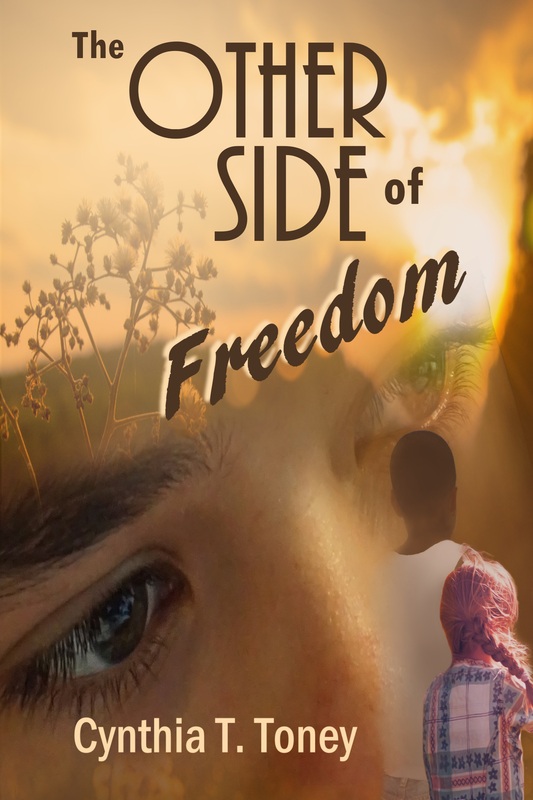 Sal’s family, their African-American farmhand, and the girl who is Sal’s best friend find their lives forever changed as dreams are shattered and attitudes challenged in a small community called Freedom. Let’s visit the 1920s like you’ve never seen them before! I hope to meet you there! Coordinates well with the previous two, don’t you think? If the image appears pixilated, it also does to me. I’ve requested a higher-resolution image from my publisher. All part of the process of getting a new book ready for publication! The anticipated release date is December 6. A while back, I mentioned acquiring a new publisher that offered me a contract for the first three books of the Bird Face series. This is the cover for Bird Face Book One, coming September 2015! What do you think? The publisher and I wanted a cheerful look that incorporated a bit of the turquoise color used in the original edition’s cover. Each book of the Bird Face series will have a turquoise strip across the front that tells the name of the series and the book’s number. The font chosen for the cover’s text will also be repeated in subsequent covers. 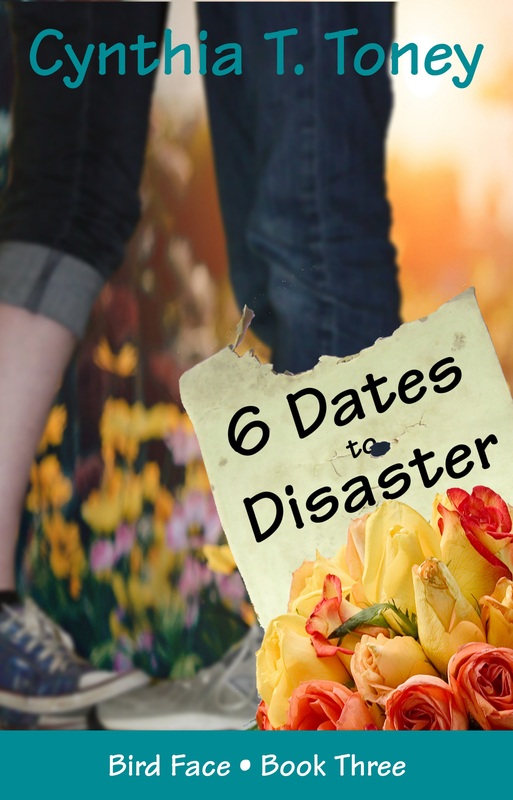 The titles of the first three books are 8 Notes to a Nobody, 10 Steps to Girlfriend Status, and 6 Dates to Disaster, the third one being a working title at this point. Each story is told from Wendy’s point-of-view, with characters from preceding stories either gaining prominence or receding temporarily into the background until the next story. Although a few details in the text have changed, book one’s story has not. So if you’ve read the original Bird Face, you’re all set to read book two, which will release shortly after book one. 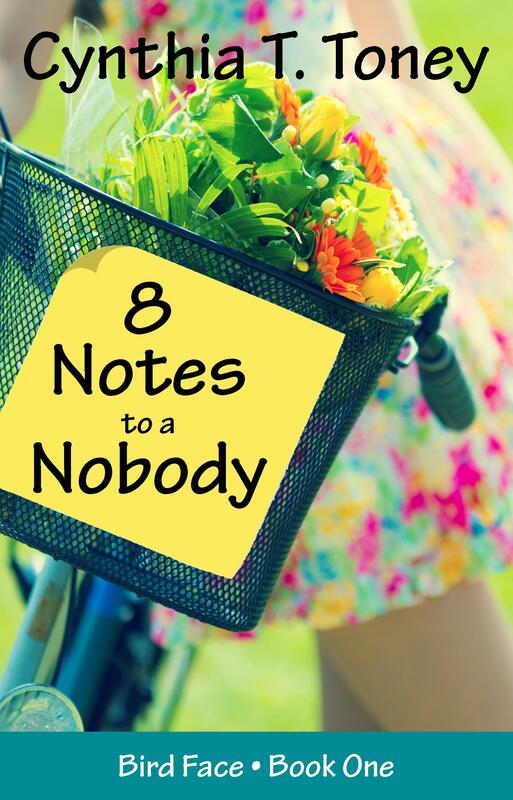 I’ve written book two so that you don’t necessarily need to read them in order. But I believe the reader’s understanding of Wendy’s state of mind the summer after eighth grade in book one will make book two, when she’s in her first semester of high school, all the more enjoyable. If you’re an educator or member of a book club, a free updated Book Club or Teacher’s Guide PDF for book one will appear on my website very soon at http://www.cynthiattoney.com. The website must undergo some changes by the time the new books are published, so please bear with a temporary mix of old and new information over the next few weeks. If you previously downloaded and printed the original version of the Guide, it’s still viable for use with either edition of book one. Thanks for following. 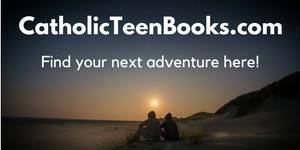 I look forward to hearing from you–concerning the covers or stories, the Guide, or questions about writing YA novels and getting them published.